What is Microblading and where can I get it in Denver?! No doubt about it, cosmetic tattooing has been around for a long time. A REALLY long time. But it is just now gaining momentum in the modern world. Why? Because it's come a long way, honey. One particular technique that is becoming extremely popular is microblading, or as permanent make-up veterans like to call it, micro-stroking. This procedure is performed by numbing the client's brow area and using very small, sterile, disposable tools to implant ink into the dermis layer of the skin. By implanting the ink into the dermis layer, this causes the pigment to fade more quickly than other forms of tattooing. Why is it gaining such popularity? Because it looks SO natural! If you have over-plucked in the past, have Alopecia, or any number of other illnesses or auto-immune disorders, your brows could be in not so great shape. Have no fear...microblading is here! If you are living in the Denver area or just visiting, please come see me at Tiger's Eye Brow Studio and I can fix your brows up in no time! The entire process takes about 2 hours and healing time is quick. 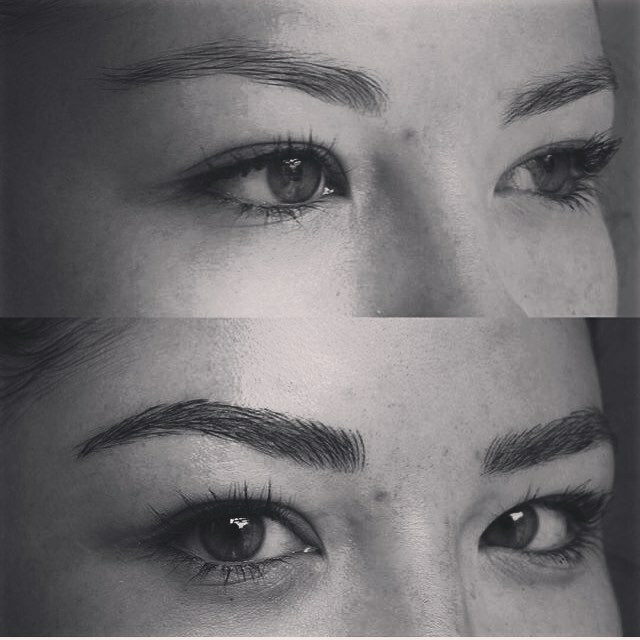 Then, after 8 - 10 weeks, you come back in for a perfection session to make sure your brows are good to go for 8-12 months! That's a long time to not have to worry about filling those babies in every morning. Please shoot me an email at tigerseyebrowstudio@gmail.com with any questions. I'm always here for you and I love to chat! You can also make an appointment on the "Appointments" page of our website. I hope this little post answered some of your questions, and I can't wait to meet you to give you the absolute best microblading experience in Denver!